Florida's newest talk show radio psychologist Maggie Walsh has no sooner gotten involved with a local movie production than the leading lady turns up dead. Now Maggie has to find the killer before the credits roll-or it might be her final performance. "This second book in her Talk Radio series is quick paced, exciting and very funny. In many cozies the mystery matters somewhat less than the characters and their personal interaction, and this one is no exception." 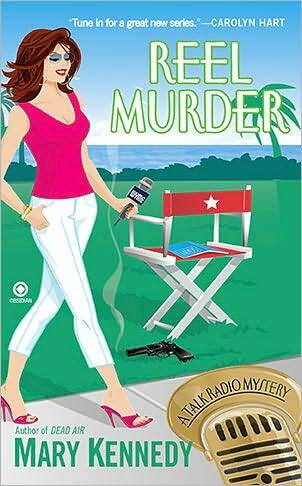 "Reel Murder is a breezy, quick read, with oddball characters and a warm, tropical setting."